The Museum of the City of New York has a collection of approximately 1500 paintings dating from the early 18th century to the present. 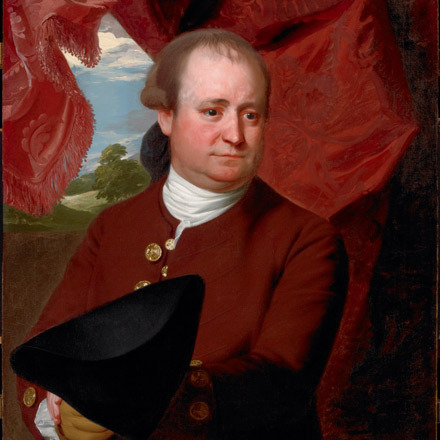 The oil portraits include likenesses of significant New Yorkers from the 18th century, including works by John Wollaston, John Durand, and John Singleton Copley; while the early and mid-19th century is represented by examples from accomplished portrait painters of the era, including Gilbert Stuart, John Trumbull, John Wesley Jarvis and Daniel Huntington. The cityscape paintings feature a broad and vibrant group of works that explore the life and architecture of the city from the early 18th century to the present. It includes pictures by many noteworthy 19th and early 20th century painters, including Johann Monges Culverhouse, Jasper Cropsey, Ralph Blakelock and Childe Hassam. Among the Museum’s first acquisitions were scenes of New York’s harbor and waterfront, and include works by Robert Salmon, James Bard, Fitz Henry Lane, and Antonio Jacobsen, dating from the 1790s to the early 21st century. The museum also has a collection of approximately 200 miniature portraits, including likenesses by John Ramage, Charles Wilson Peale, Mary Way, Sarah Goodridge and George Catlin. 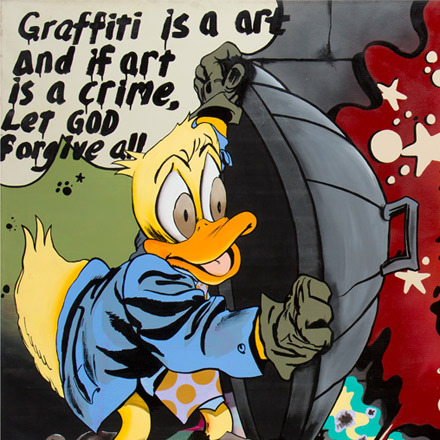 The Museum also has an important collection of graffiti paintings, including more than 300 canvases and 60 sketchbooks by artists such as Lee Quinones, Futura, Rammellzee and Lady Pink. The collection was donated to the museum by noted Lower Eastside artist Martin Wong. The museum’s drawing and watercolor collection numbers about 6000 works, and represents the full-span of American art from the early 19th century to today. It covers a broad range of subjects, including marine and river views, scenes of urban life, architectural drawings and renderings of buildings, courtroom sketches, periodical illustrations, drawings for prints by Currier & Ives, political and social satire, and architectural drawings and watercolors for the 1939 New York World’s Fair. This area of the collection includes large holdings of the work of various artists, including James Bard, Jacqueline Barry, Nicolino Calyo, Don Freeman, Eliza Greatorex, George Heinmuller, Abraham Hosier, Rollin Kirby, Reginald Marsh, Charles Frederick Mielatz, William Sontag, Jr., Susanne Suba and John M. August Will. The sculpture collection numbers approximately 300 works, and primarily is composed of busts, figureheads, cigar-store figures, and maquettes for public commissions. Many major sculptors of the past 200 years are represented in the collection, including Hiram Powers, Thomas Crawford, John Quincy Adams Ward, John Rogers, Herbert Adams, Paul Manship, William Zorach, Richmond Barthe, and Jo Davidson. The collection also includes a group of painted life casts of famous boxer’s hands, including those of Jack Johnson, Jack Dempsey and Henry Armstrong. A leading citizen of Colonial New York and a loyalist during the American Revolution, Henry White moved to London with the evacuation of the British from the New York in 1783. 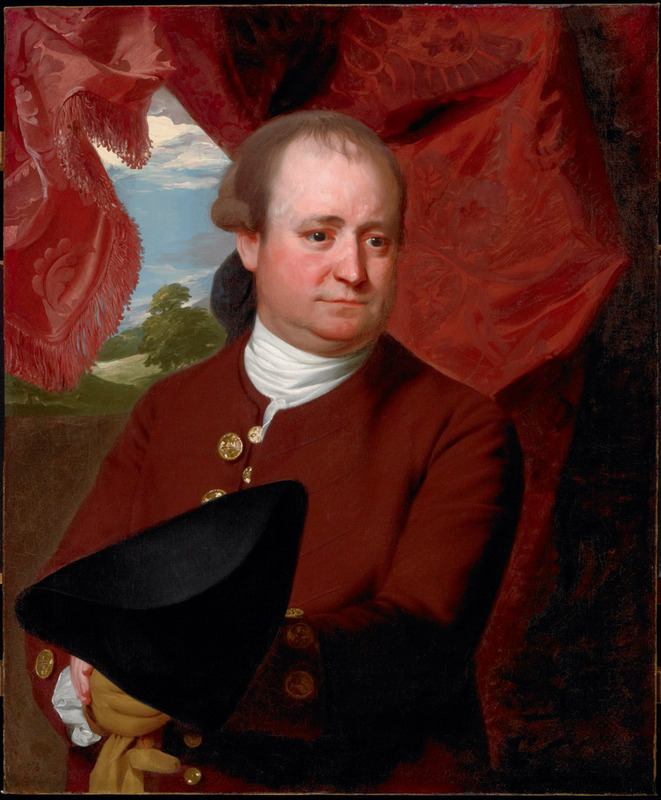 Shortly thereafter his portrait was painted by John Singleton Copley, who moved permanently from his native Massachusetts to England in 1775, prompted by his family’s loyalist sympathies. John Singleton Copley (1738-1815). Henry White, ca. 1784. Museum of the City of New York, 55.95.1. 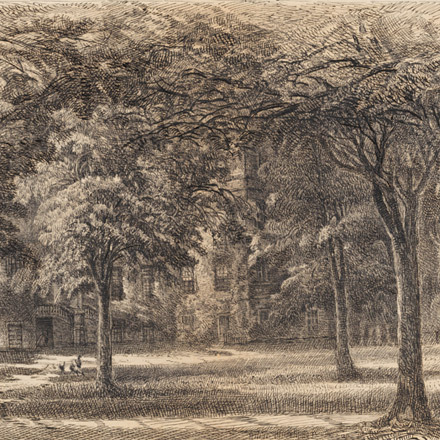 Beginning in 1864, Irish-born Eliza Greatorex created drawings which explored the length and breadth of Manhattan and aimed to record historic structures that were on the verge of being razed over the course of ten years. Pictured here, the New York Hospital was founded in 1771 with a charter from King George III, and was originally located on Broadway between what is now Duane and Catherine Streets. Eliza Greatorex (1819-1897). 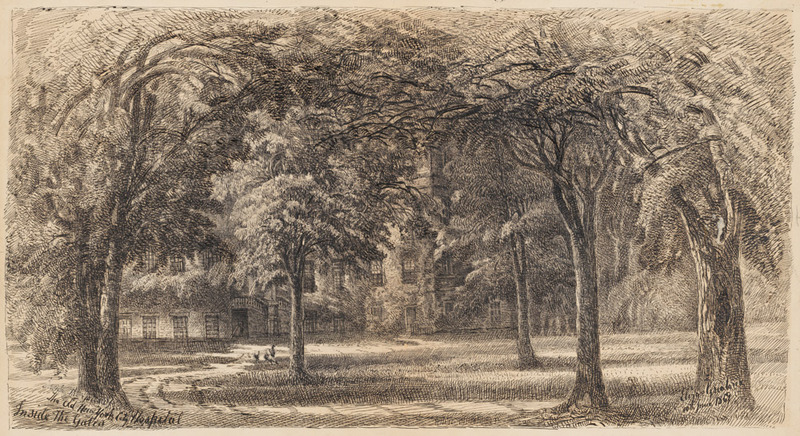 The Old New York City Hospital, Inside the Gates, 1869. Museum of the City of New York, 35.408.68. In 1825 Emma Somers Towne married Pierre Louis Foulke, who was a partner in the trading company Foulke and Sons. The company was established in New York in 1818 by his father Joseph, who is best remembered today as the owner of Gracie Mansion from 1823 to his death in 1852. From 1923-1931, Gracie Mansion was the first home of the Museum of the City of New York, and in 1942 it was officially designated as the official residence of the mayor. 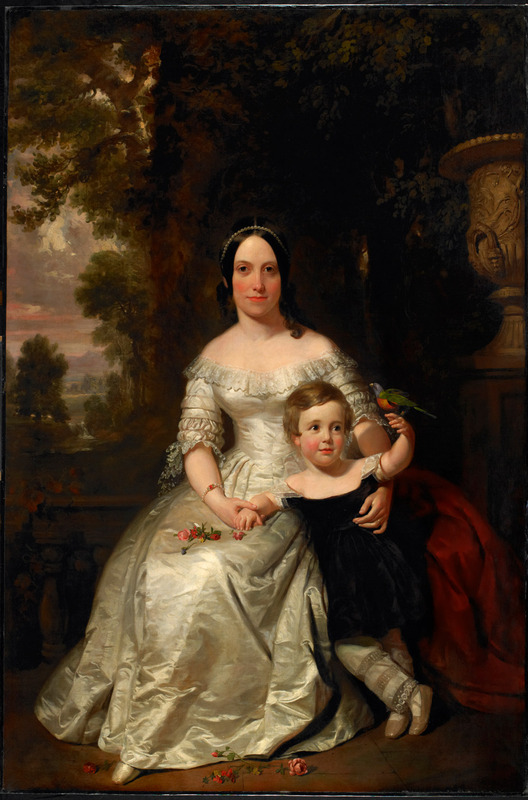 Daniel Huntington (1816-1906), Emma Towne Foulke (Mrs. Pierre Louis Foulke) and her Son, 1839. Museum of the City of New York, 28.23. 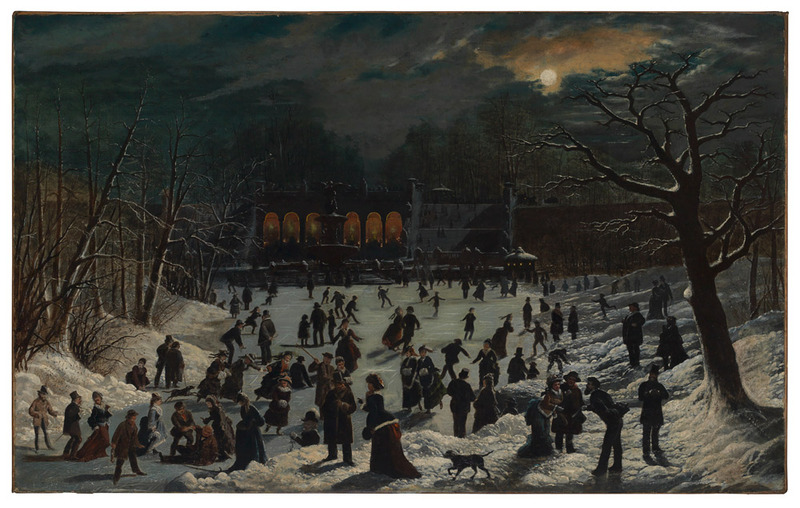 Skating in Central Park began in December 1858, when part of the unfinished lake south of the Ramble was flooded and froze. The new park’s twenty acres of ice led to enormous popularity for the sport, and artists were quick to respond to the pictorial possibilities. 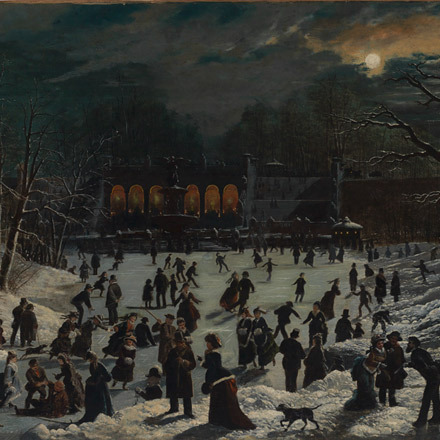 John O’Brien Inman’s painting depicts skaters crisscrossing the lake beneath the moonlight against a background of the Terrace north of the Mall, with Bethesda Fountain looming at the lake’s edge. John O'Brien Inman (1828-1896). Moonlight Skating - Central Park - The Terrace and the Lake, ca. 1878. Museum of the City of New York. 49.415.2. 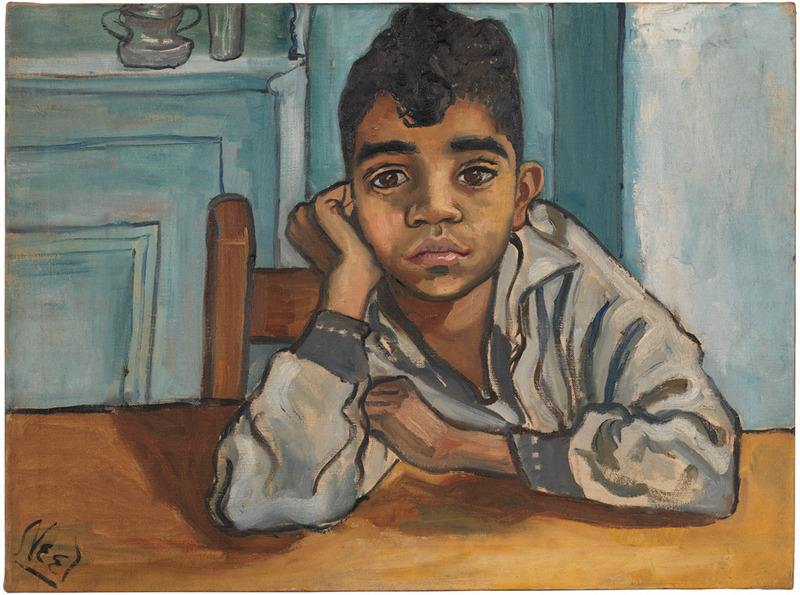 While living in East Harlem during the 1950s, Alice Neel turned her attention to the neighborhood children, including George Arce, a young boy who posed for her several times. Arce and Neel remained friends for almost thirty years, and Arce is pictured in this painting sitting at Neel’s kitchen table. The painting was donated to the museum in 1968 by Thelma Hall, Neel’s one-time neighbor and friend, and herself a portraitist and cityscape painter, whose work is included in the museum’s painting collection. 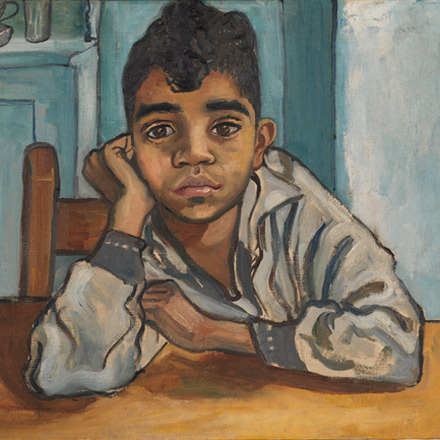 Alice Neel (1900-1984). A Spanish Boy [George Arce], 1955. Museum of the City of New York, 98.46.5. 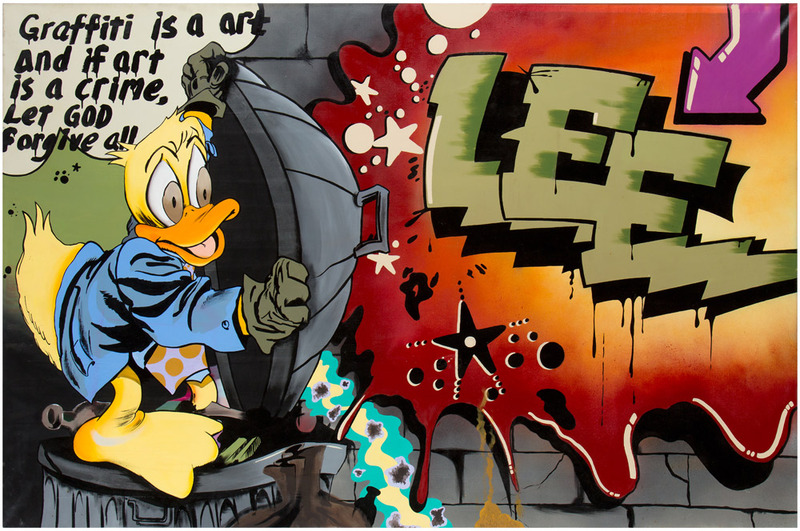 Howard the Duck first appeared as a mural in 1978 on the wall of a playground adjacent to Corlears Junior High School 56 (now Corlears Complex) on Henry Street in the Lower East Side, by invitation of the school’s principle. Howard the Duck was Quinones’s favorite comic book character, as he identified with Howard’s rambunctious, undisciplined, stubborn and rebellious character. This smaller version of the mural was commissioned by the artist Martin Wong who donated the work to the City Museum in 1994. Lee George Quinones (b. 1960). Howard the Duck, 1988. Museum of the City of New York, 94.114.1.